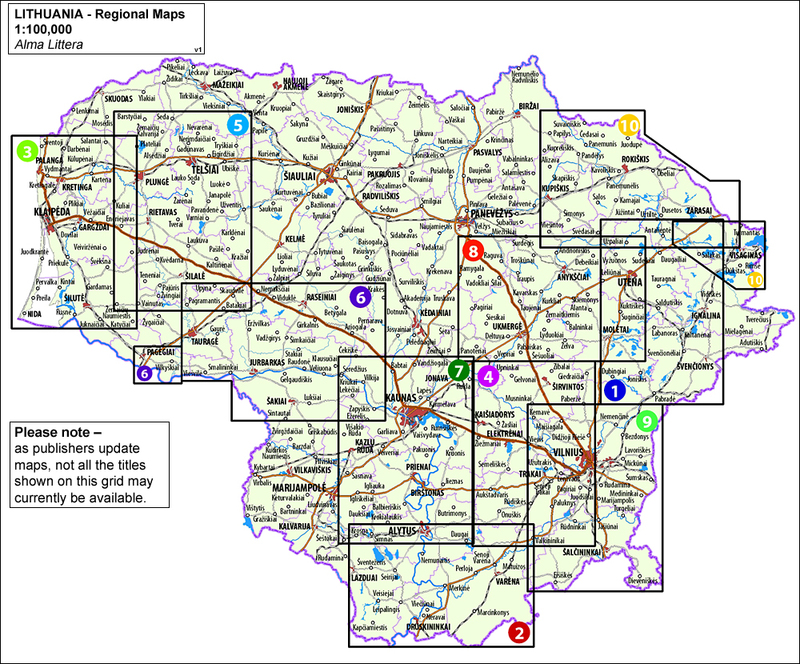 Main roads are graded according to the speed limit; regional and local roads indicate asphalted or gravel routes. Driving distances are marked on main and selected regional routes, and locations of petrol stations and border crossings are marked. Railway lines are shown with stations. Important sights are prominently highlighted and a very wide range of symbols indicate various places of interest, including campsites, historical and industrial heritage, archaeological and natural sites, etc. 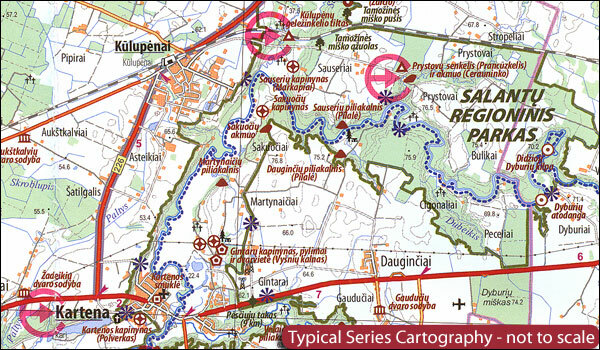 The maps also indicate hiking, cycling and kayaking routes. Topography is shown by contours and spot heights, plus colouring and/or graphics for different types of the terrain and vegetation, e.g. swamps, peat bog, orchards, forests, etc. The maps have latitude and longitude lines at 5’ and 10’ respectively. Map legend includes English. 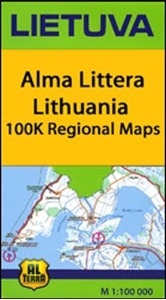 Each title comes with a booklet attached to the map cover providing descriptions of places of interest, but the text here is in Lithuanian only.